The concept of populism is controversial among scholars as to its analytical validity and utility. 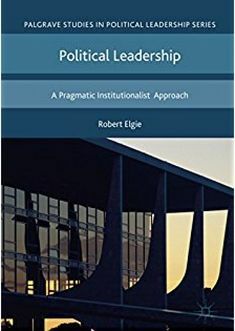 However, when populism is approached as a political strategy and style of political discourse that can be very useful in analyzing and understanding developments in political and party systems. In Cyprus, most analysts agree that populism seems, at present, to be a limited force and has not become a threat to the mainstream political parties yet. However, there are circumstances of creeping populism that might favour the rise of populist actors in the near future. The forthcoming European elections present a good opportunity for this. The major trends of this creeping populism are summarized below. These trends are repeatedly found in national opinion polls and Eurobarometres of recent years. There is a strong sense of identification with ethnicity and country. Turkey and immigration are perceived as the most significant and material threats to peace and security in Cyprus. These issues are among the most privileged ones for populist actors not only in Cyprus but all over Europe. The perception that ‘ethnic diversity destroys the unity of a country’ is widely held among Cypriots. Again this can be easily directed against immigrants and other minorities in Cyprus and particularly the Turkish Cypriots. The above (1-3) must be seen in combination with the revival of nationalism in Cyprus society in the context of the Cyprus problem; nationalism is one of the most important ingredients of (right-wing) populism. 4. Very low levels of trust in national institutions. Eurobarometers continuously record very high numbers of people’s distrust towards political parties, national parliament, government, the president, the media, and recently the Cypriot Central Bank and the judiciary. These results indicate a great disappointment among the Cypriot citizens with the entire national political system which can be easily taken up by populist actors. 5. Economic situation and corruption are the two most important problems faced by Cypriots which again lay the ground for future populist actors. This is coupled with widely held perceptions that socioeconomic changes in recent years have increased the gap between rich and poor, between the privileged and the underdogs. 6. Most Cypriots believe that corruption among public officials is high and widespread. Corruption is often cited as a pre-condition for the emergence of populism. Corruption issues feature high on populist parties’ campaign agenda and populists often use anti-corruption rhetoric to attract people’s support. 7. Perceptions of political party homogenization are high indicating that most Cypriots consider either all parties being the same or that all big (mainstream) parties are the same. However, they don’t put the small parties in the same frame; they consider small parties to be different. This reveals feelings of protest and anti-establishment politics which could be easily mobilized by a (small or new) populist actor. 8. Cypriot citizens increasingly favour technocratic solutions sidelining all ideological and political discussions. The above (4-8) suggest that Cyprus is facing a huge crisis of legitimation of the entire political system. This crisis was intensified by the many political and economic scandals that had come to the fore in recent years and the inability of the political parties and the governments to protect the people from the economic crisis. The fact that both the left and the right had governed during the period of the crisis Cyprus (and Europe) went through has made all political forces looking the same. Moreover, all mainstream political parties are accused of having presented no solutions to the problems of the people. Therefore, a strong dichotomy was created between voters in general on the one hand and mainstream parties on the other. All the above suggest that there are important contextual parameters that could provide a fertile ground for populism to rise. Populism can take both (or either) socioeconomic and cultural characteristics. Some polls when comparing the ideology of those expressing the above positions/feelings on the various issues find that there are stronger positions on all issues held among the nationalists. This is an important indication that shows that the possibility of populism is far bigger on the right than on the left. The most possible candidate to adopt populist strategies is the extreme right National Popular Front (ELAM). ELAM is essentially a branch of the Greek Golden Dawn but they carefully position themselves as nationalists who struggle for their country against the corrupted political and economic elite that has governed Cyprus since independence. According to some recent polls ELAM is a serious contender for the sixth seat of Cyprus in the forthcoming EU elections. This entry was posted in Cyprus, Europe and tagged Cyprus, European Elections, Turkey on March 13, 2019 by Yiannos Katsourides.